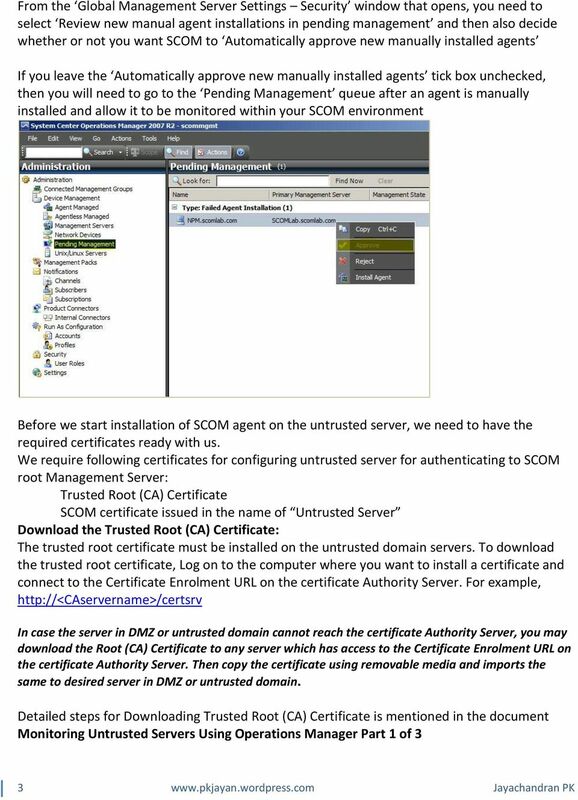 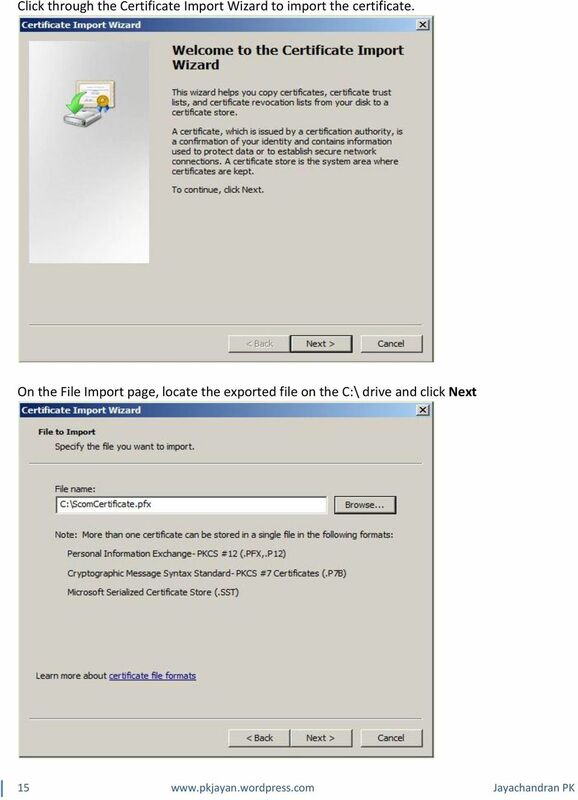 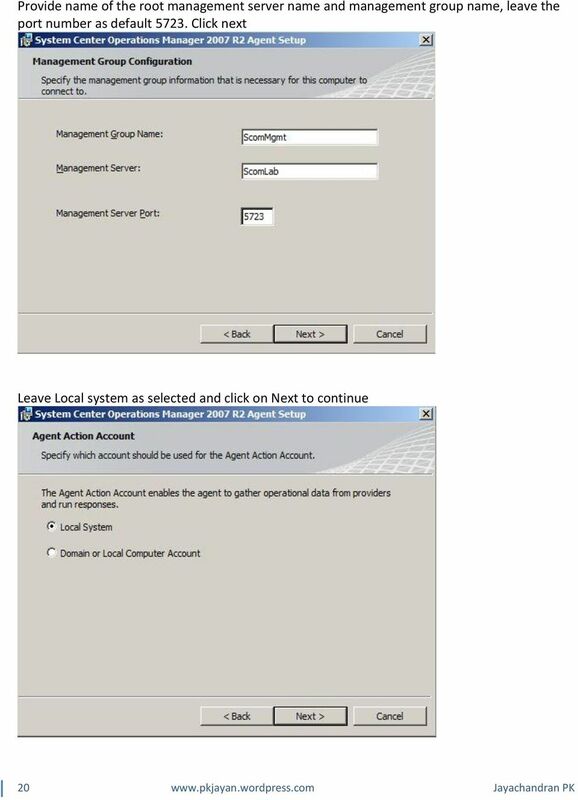 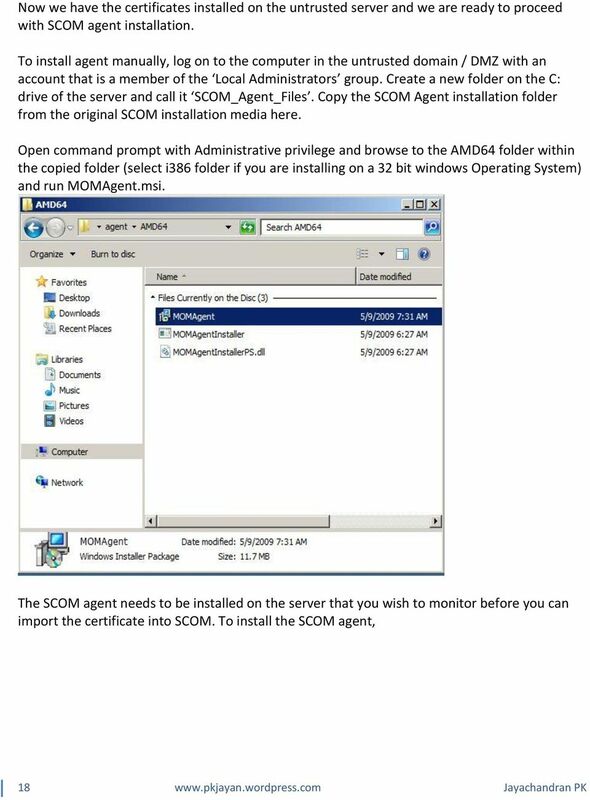 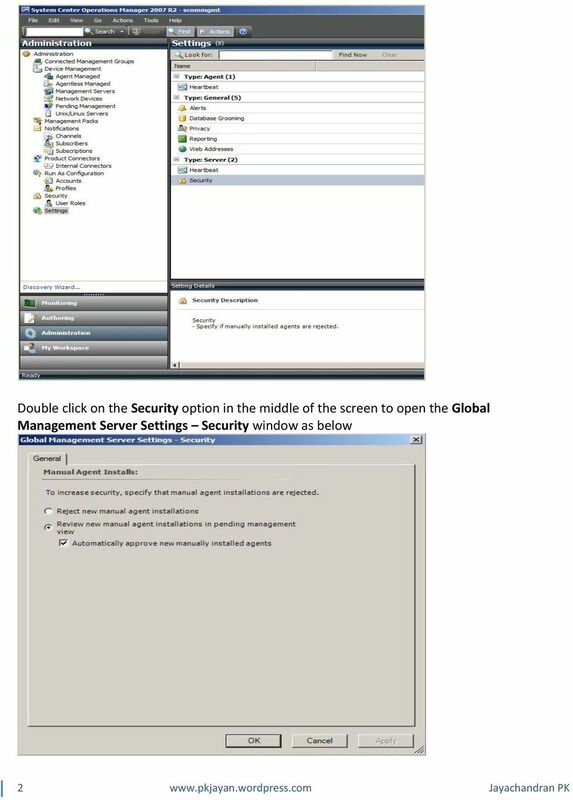 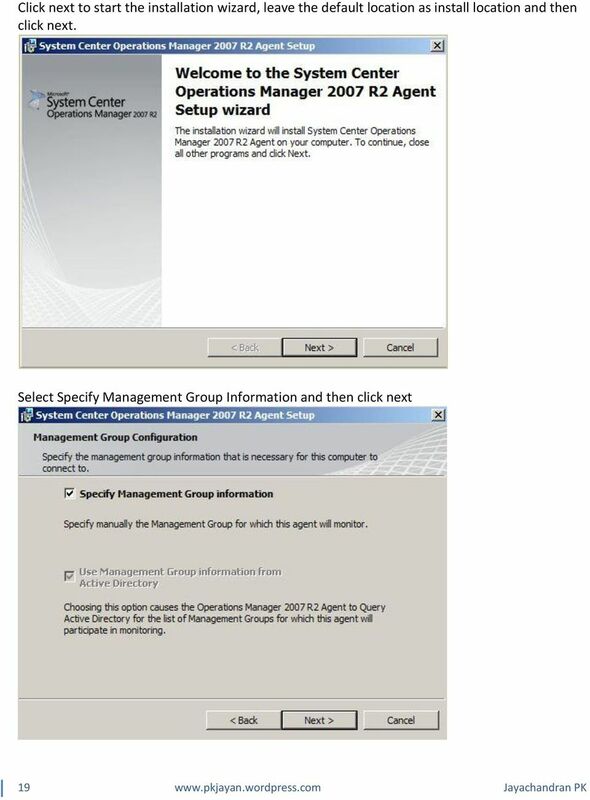 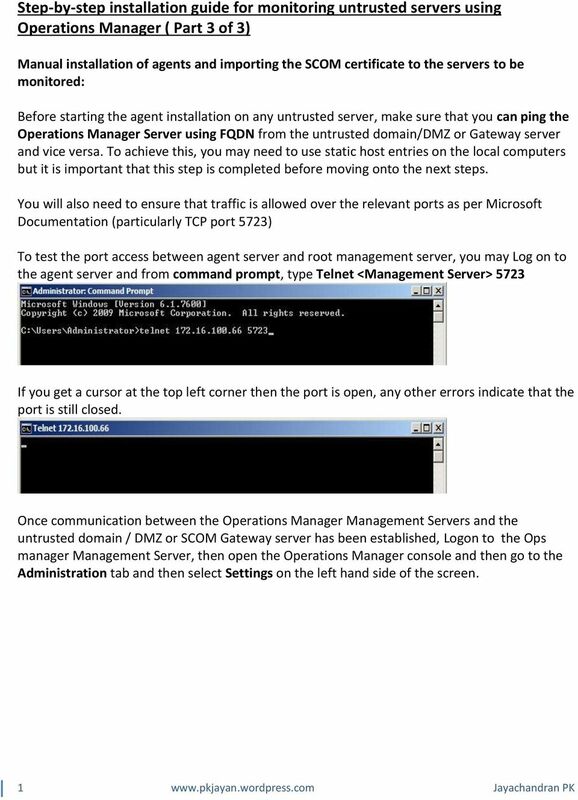 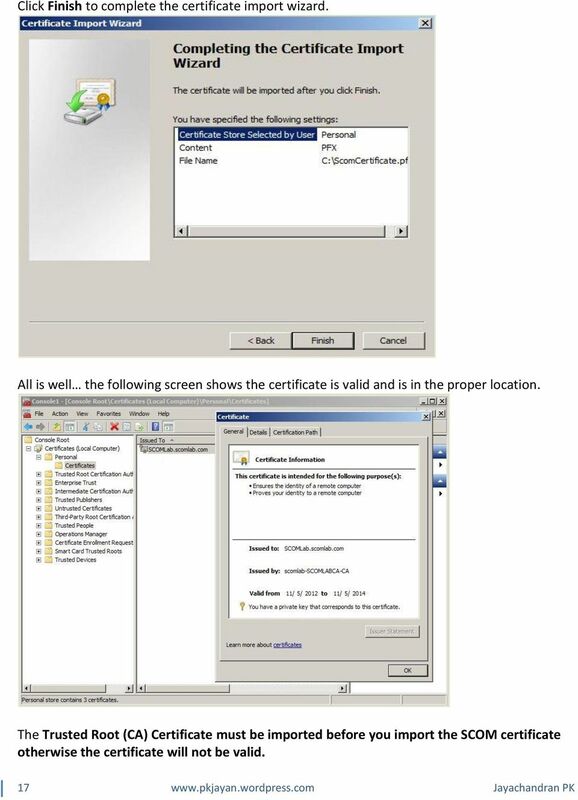 Download "Step-by-step installation guide for monitoring untrusted servers using Operations Manager ( Part 3 of 3)"
Install the Production Treasury Root Certificate (Vista / Win 7) The Production Treasury Root Certificate should be maintained on your local workstations to use OTCnet Check Capture and Deposit Reporting. 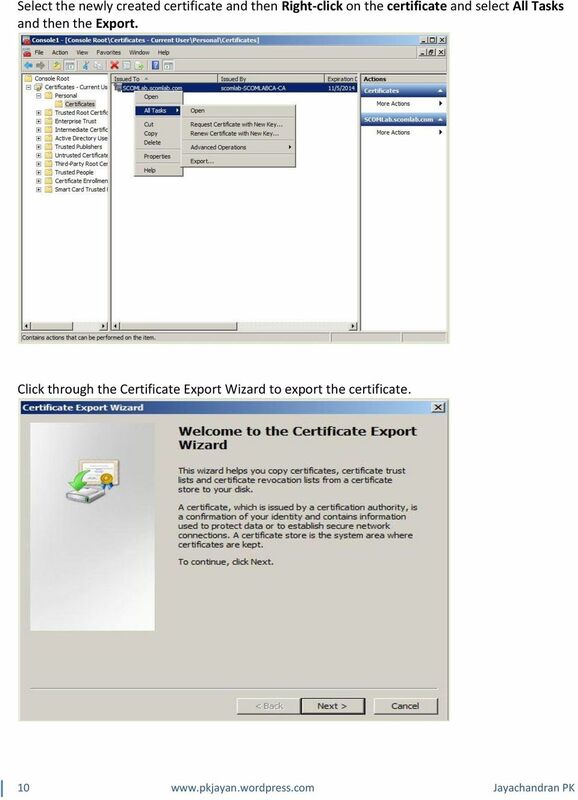 Microsoft Exchange 2010 and 2007 Download the server certificate and intermediate certificates. 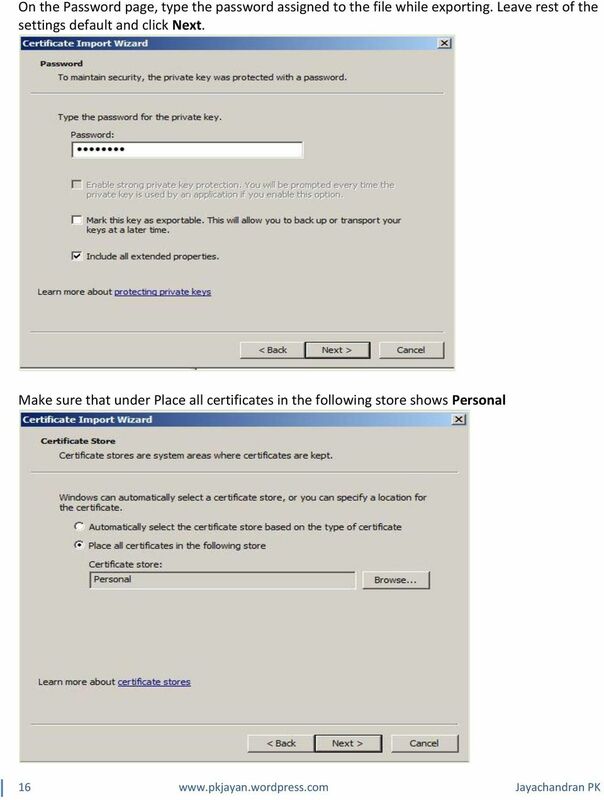 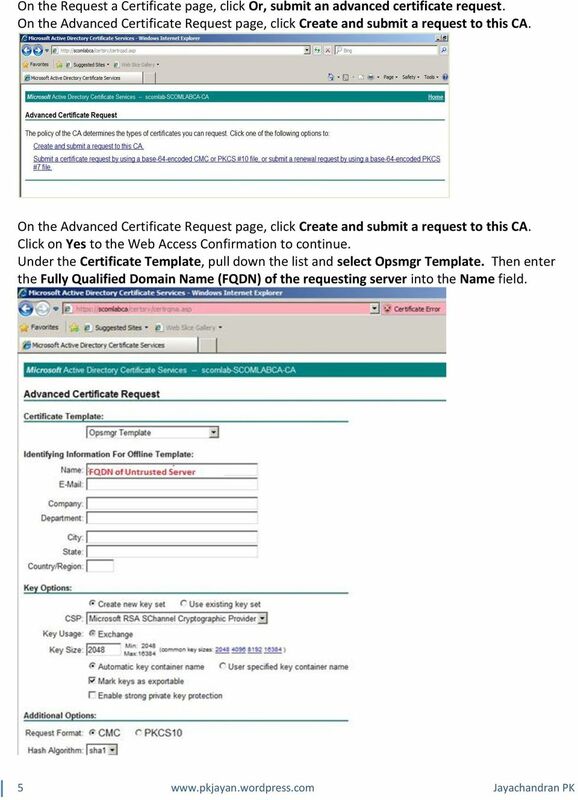 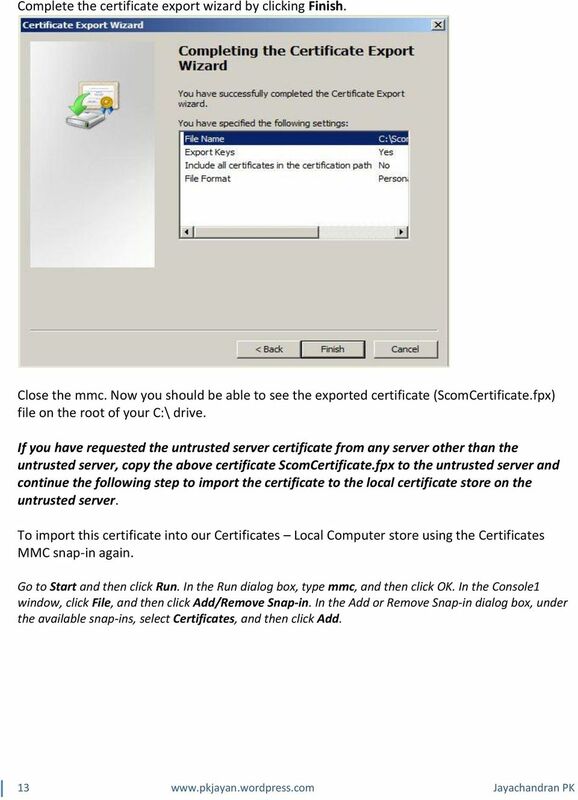 Perform the following procedure for each of the intermediate certificates and then for the server certificate. 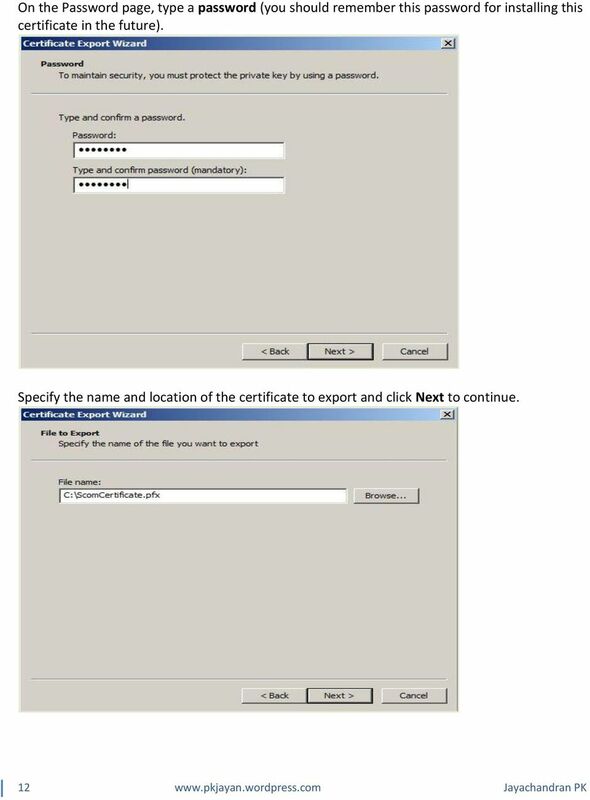 Reporting works by connecting reporting tools directly to the database and retrieving stored information from the database. 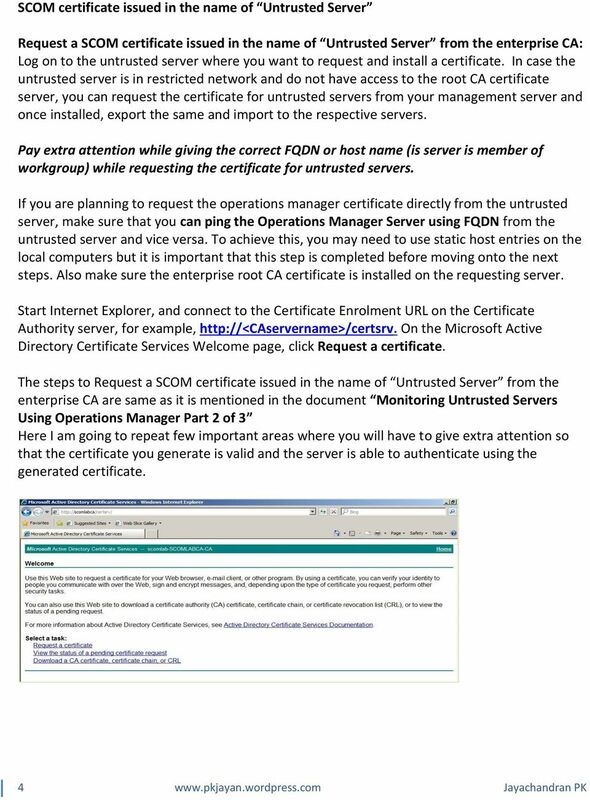 Password Reset Server Installation Guide Windows 8 / 8.1 Windows Server 2012 / R2 Last revised: November 12, 2014 Table of Contents Table of Contents... 2 I. 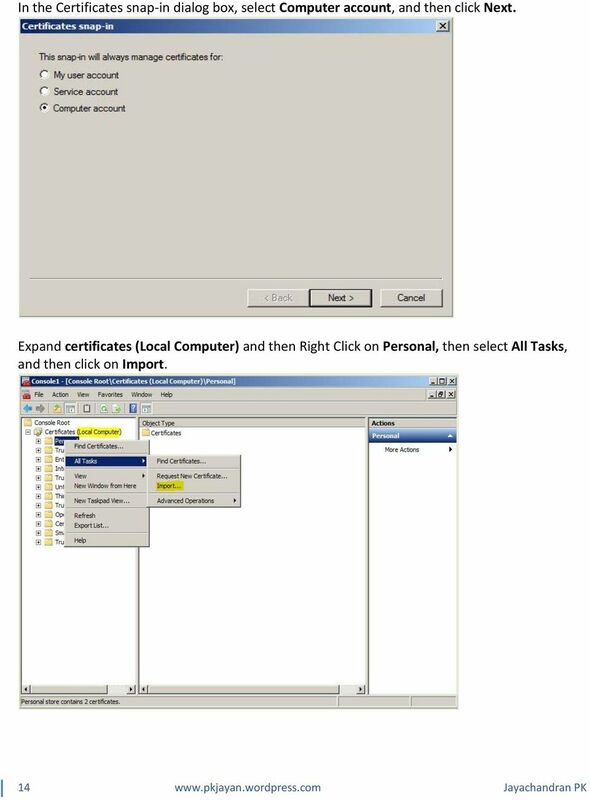 Introduction... 4 A. ASP.NET Website... 4 B. 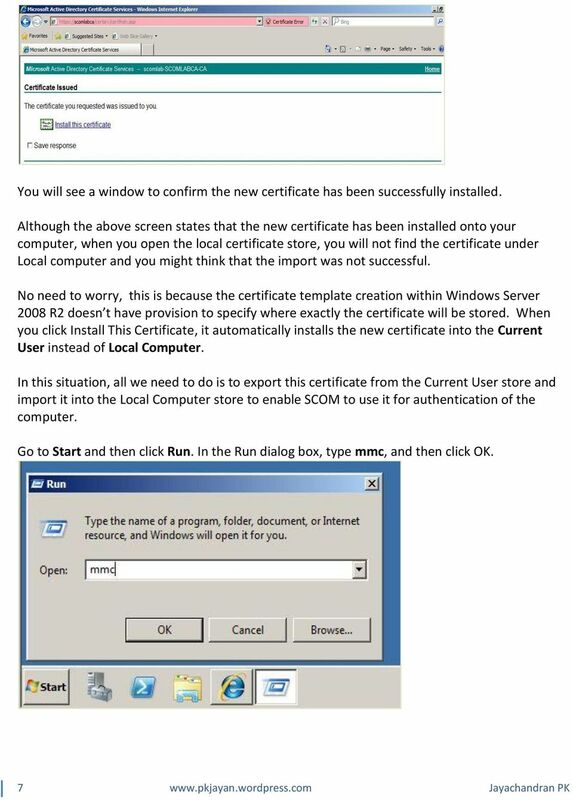 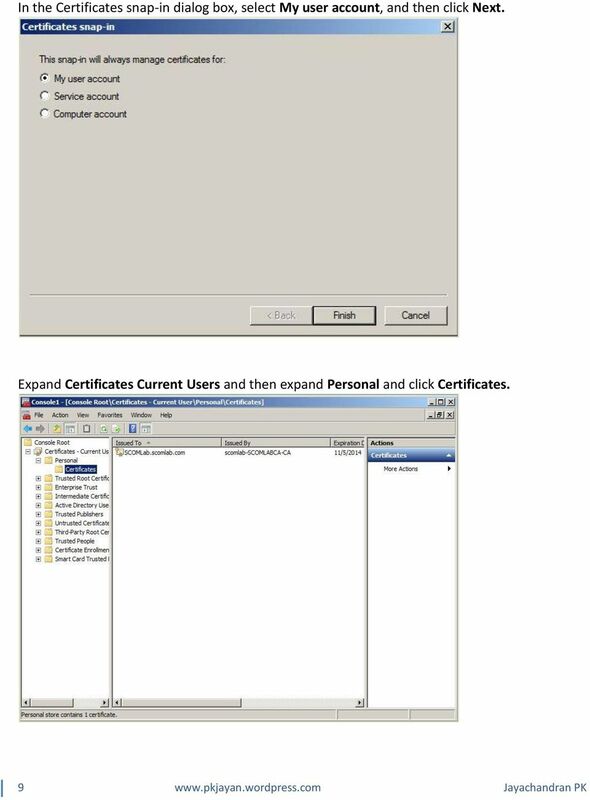 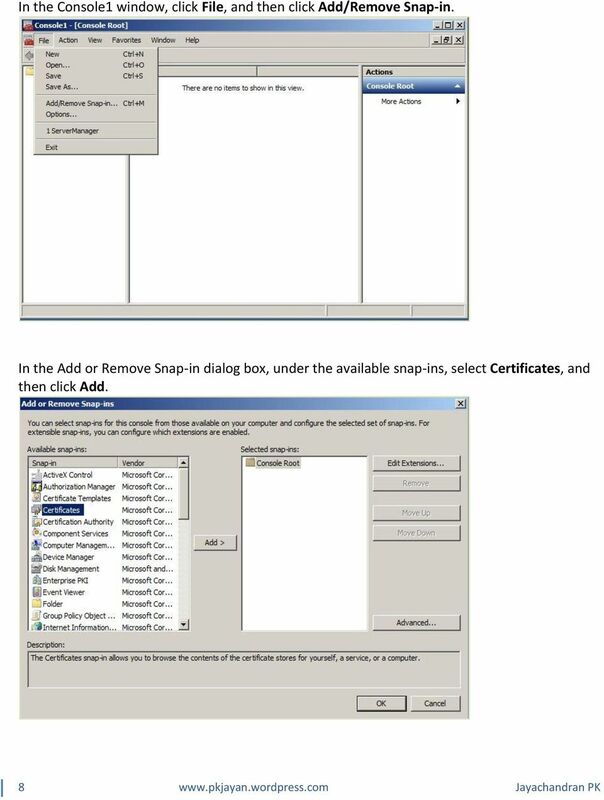 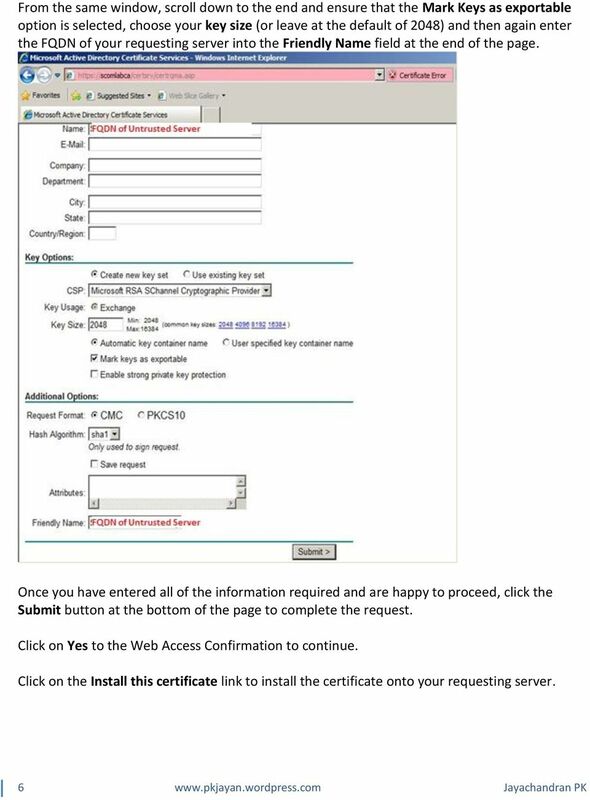 Digital Certificate Renewal(Windows Vista and Windows 7) STEP 1 (must be done before renewing the certificate) Run IE as Administrator Right-click on the Internet Explorer (IE) icon Run as administrator.